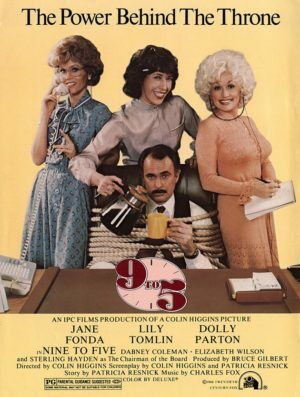 In this witty, satirical farce, secretaries Dolly Parton, Jane Fonda and office manager Lily Tomlin live every female worker’s dream after discovering they share the same resentment towards their egotistical, sexist boss (Dabney Coleman). When they get an unexpected chance to take revenge, they turn their male controlled workplace into a modle office – even as their scheme spins wildly out of control. 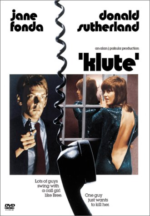 What’s on the “Sexist, Egotistical, Lying Hypocritical Bigot Edition” DVD of one of the more enduring comedies of the 1980s? The cast were obviously delighted for the opportunity to travel down memory lane, providing a commentary. 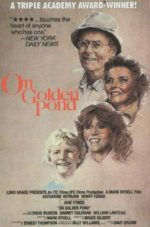 Dolly Parton and Lily Tomlin recorded their bits in one city while Jane Fonda recorded hers simultaneously in another city, as they watched the movie again together. The three leads–one, Parton, a rookie actress–made for a well-balanced comedic team whose friendship has endured off-screen for 25 years, a friendship that comes across in their banter. 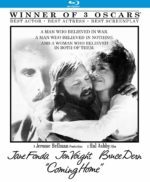 A “Nine At 25” featurette finds the cast and producer dishing such tidbits as the fact Parton came to the set having memorized the entire script, everyone else’s parts included. A “9 to 5” karaoke feature may entertain depending on how many drinks one has had at the office party, but the words don’t always seem in sync with the music. To celebrate the release of this edition of 9 to 5, the cast, sans Dabney Coleman, reunited in Los Angeles for a party in which Dolly sang the theme song, memories were shared, and actresses dressed as ’80s office workers acted busy in cubicles and reception desks.